Each year, green fuels and energy grow more popular as the technology becomes more efficient and less expensive. Just earlier this week, AORA unveiled a new CSP (Concentrated Solar Power) system in southern Spain. It’s made up of a sun-ray collection tower that stands 35 meters (a little over a hundred feet) tall surrounded by about 50 mirrors (called heliostats) that are in position to focus sunlight to the “tulip” shape at the top of the spire. The tulip has a turbine inside it, and it can generate up to 100kW of power as well as 170kW of thermal power. That’s enough power to push about 50 homes in Europe, and perhaps a bit fewer in the more energy-hungry United States. The best part of AORA’s design is that it’s a modular system: Tulips and heliostats can be added to increase the power the system can generate, and the units themselves can be placed around or near the existing energy grid to reduce power loss of transporting energy a large distance. With multiple units running, you won’t go completely dark if you take one tulip down for maintenance, either, and AORA has stated that the units can be built around wildlife corridors without damage. The system is designed to be able to run 24/7; a small generator underneath the tulip can run on diesel, natural gas, or other fuel sources to keep the turbine going through the night. An American team intends to bring a couple of the tulip units to the Arizona desert to set up a demonstration of solar power seconded by natural gas. Being able to use a second fuel source is more efficient than a solar-thermal system that stores solar energy for its own use during off-hours, and having an always-on green energy source that can run completely off the grid or stay plugged into it is going to have a huge appeal in the face of some more conventional power sources. 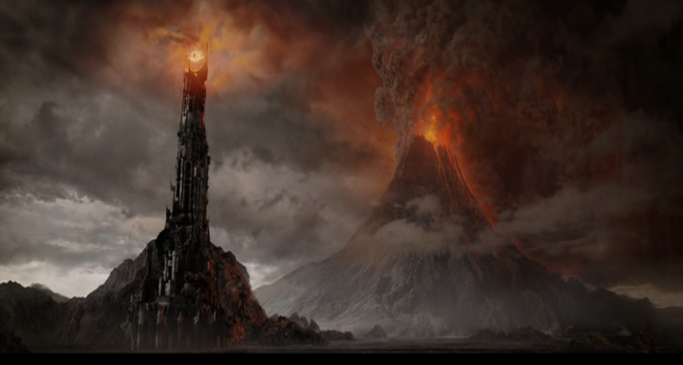 Besides, the tulip spires looking a bit like the Eye of Sauron, this is an exciting step forward for solar technology. We’ll be keeping an eye on the Arizona desert for when this technology makes it debut.